My wife and I spent much of August away from home and work at a wonderful location in the Rocky Mountains in British Columbia. 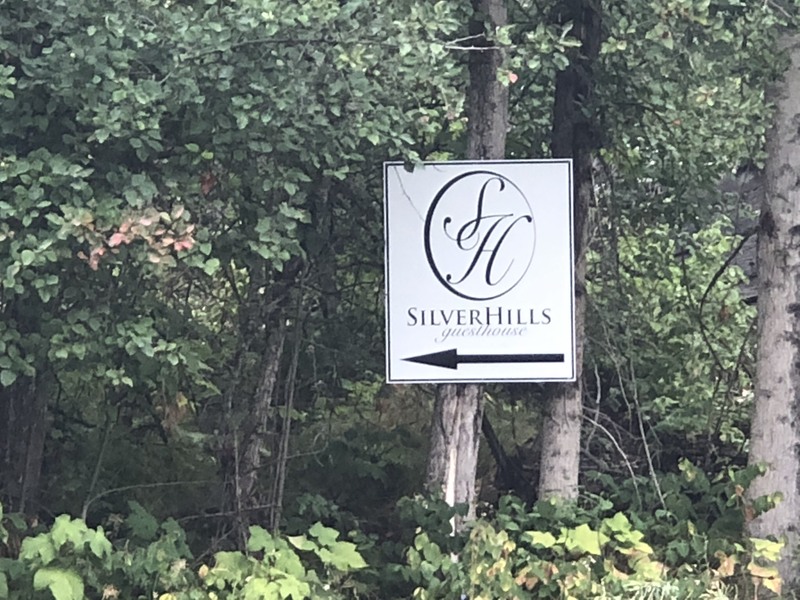 We visited a lifestyle centre called Silver Hills Guesthouse & Spa. This place is a hidden gem run in a family like atmosphere. Maybe I shouldn’t even tell you about it, but I will. Well for the 12 days that we stayed at the resort, all we ate came from the ground, and most came from their own garden. Going into this trip I never would’ve believed that vegan food food taste so good, but it can. It’s amazing how various the food choices can be. We had everything from burgers to ice cream and it all tasted fantastic. Going back to reality is tough, especially considering the truckstop food that I have access too. But it’s a work in progress. This vacation was originally planned to help my wife, Judy, who suffers from various health issues including diabetes and bi-polar manic depression. I figured a couple of weeks at a lifestyle centre would be great to help get her back on track. The place offered great food, accomodation, exercise (both on trails and in exercise room), lectures, and spa services including massages, pedicures, etc and sauna, steam room and whirlpool. It sounded really good and the price was right too! Silver Hills Guesthouse uses programs that are Biblical based and the food choices are based on the original food choices that God offered when He created the earth. I don’t profess to being Vegan, but I have to admit that after 12 days of healthy plant based eating, I felt better than I had in years. And trust me, the food choices were not just a bunch of veggies on a plate, every meal was a delight to not only the tastebuds, but to the eyes also. Honestly, if you look at the plates above, can you tell that they’re Vegan, and even if you can, don’t they look great? Well the looks are one thing, but the taste is what makes it work and every meal tasted as good as it looked, or better! So about 2 days into this trip that was mainly for my wife, I suddenly began to realize that I was in love with this place. I was being pampered with massages, being fed excellent food and going for walks up mountain trails and having a great time with a bunch of people I didn’t know, but now consider a part of my family. As for the trail walking, on one day during our second week, I went for a trail walk that turned into an almost 10km (6 mile) hike UP a mountain. The first part was a straight climb of about 60% to 75%. I really struggled with that portion and was really glad to get onto flat ground at the top of “High Meadow.” Part of the problem was that there were many forest fires burning in the area and the smoke was heavy at times, and also my lungs are still recovering from smoking for way too long! At the end of the trek my phone told me that I’d walked the 10km, over 16000 steps and I had climbed the equivalent of 92 floors up! I was tired, but I did it. My walking partner for much of the hike, especially the flat and downhill, was Mike who was EIGHTY-FOUR years old! He showed me up on the climb, beating me to the top by over 10 minutes! In the end my wife was walking over 1km a day, from very little at all, and we’re hoping that it continues to improve. We’re taking the lessons that we learned and using them to better our lifestyles. And while I don’t expect us to turn fully Vegan, we did learn some valuable lessons about the disadvantages of eating meat in both our health, and the health of the world in general, so I think a serious cutback on meat consumption is in order. An amazing factoid that I did learn, is that if we took all the grain that is fed to animals in NORTH AMERICA alone, we could feed the whole world with much to spare. It really makes you think about the choices we make in our daily lives.